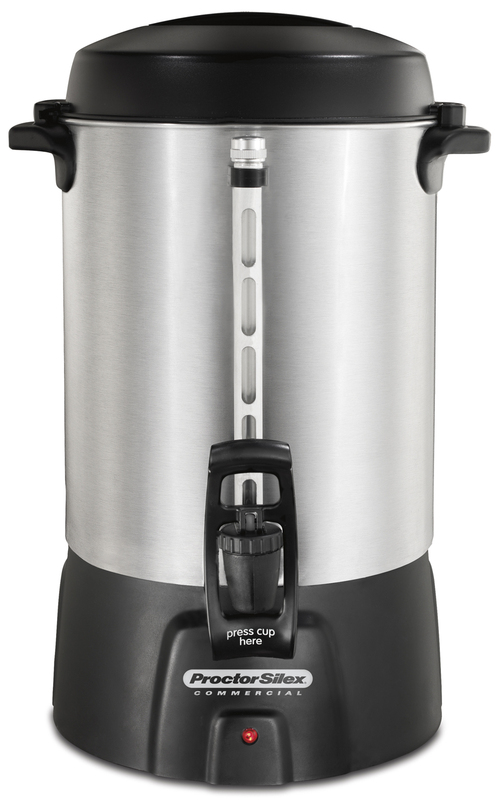 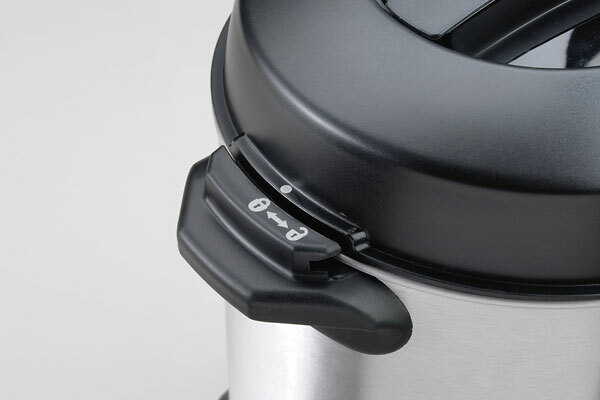 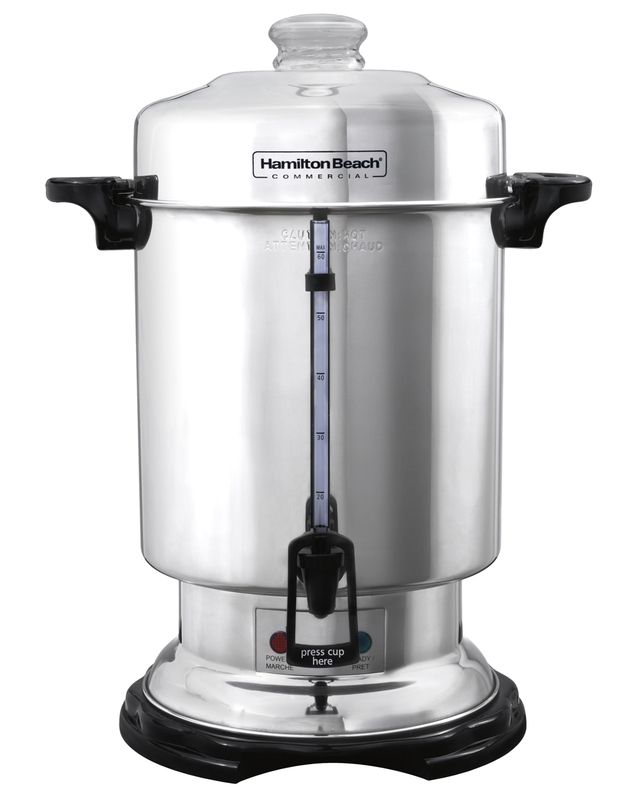 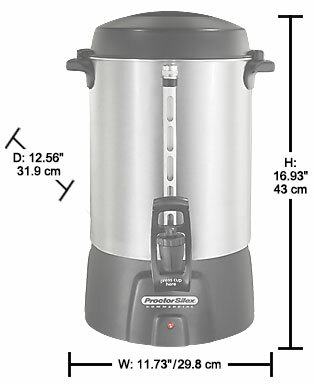 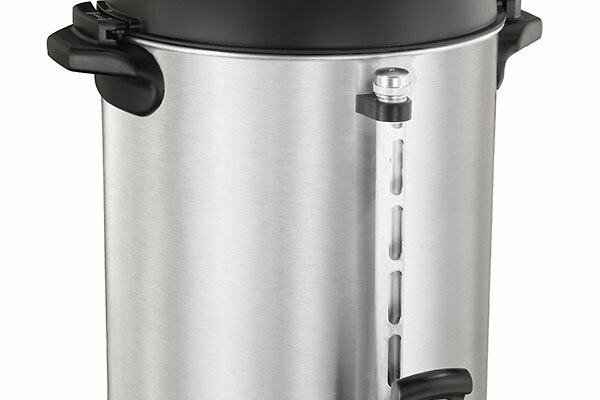 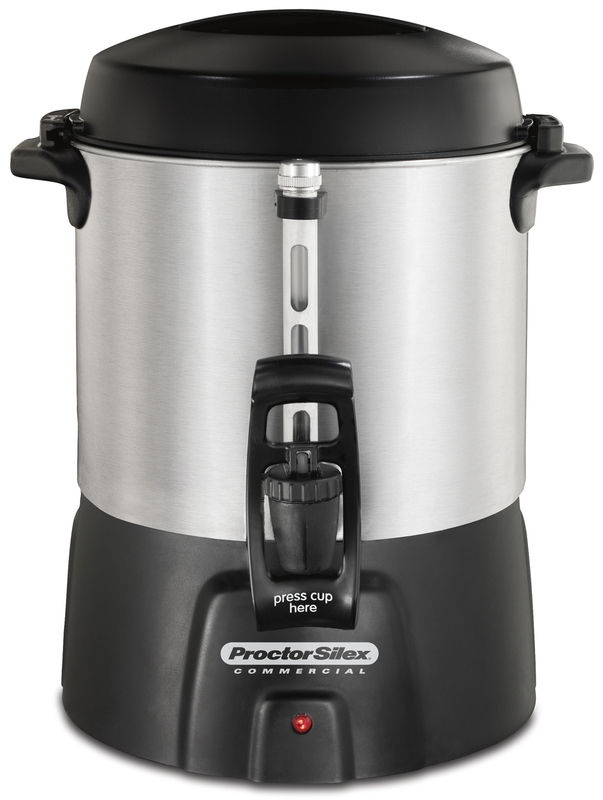 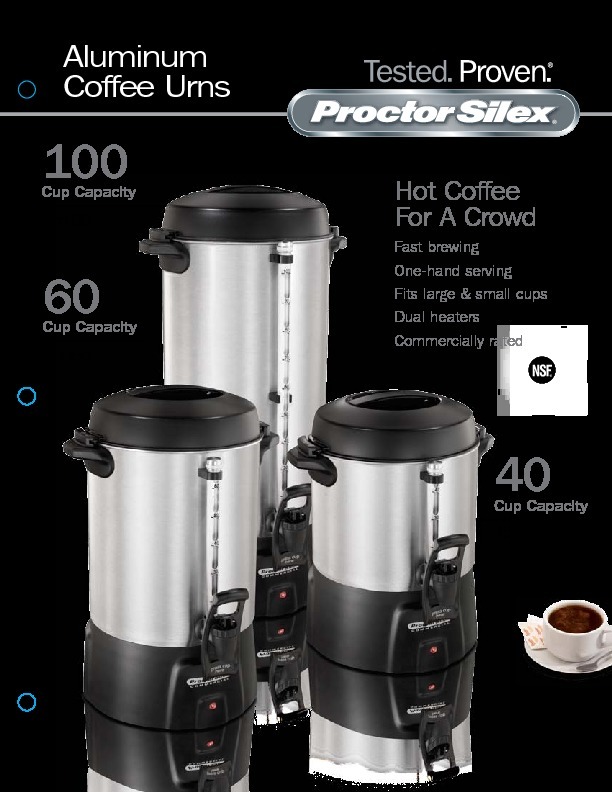 A Proctor Silex® Commercial large capacity coffee urn is perfect for gatherings. 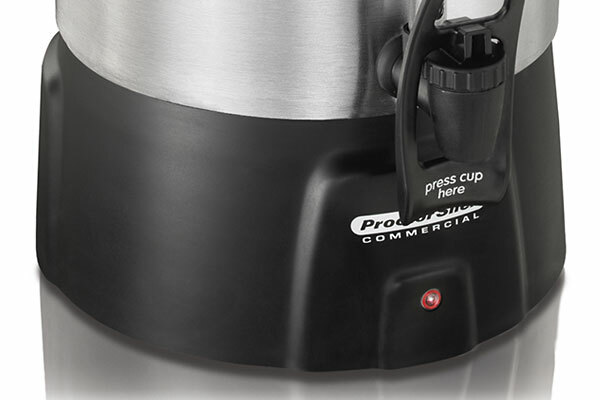 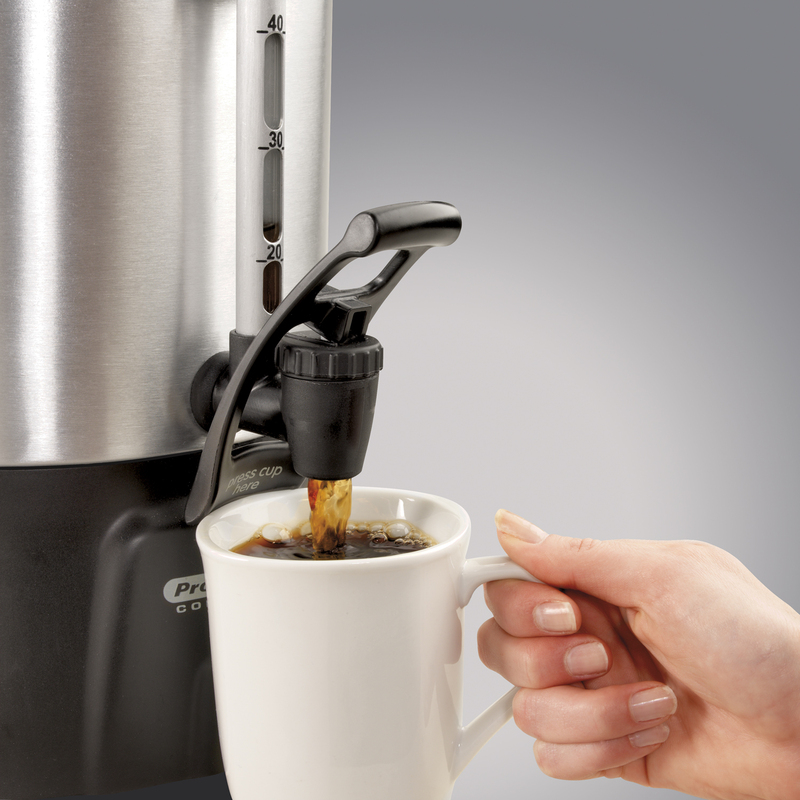 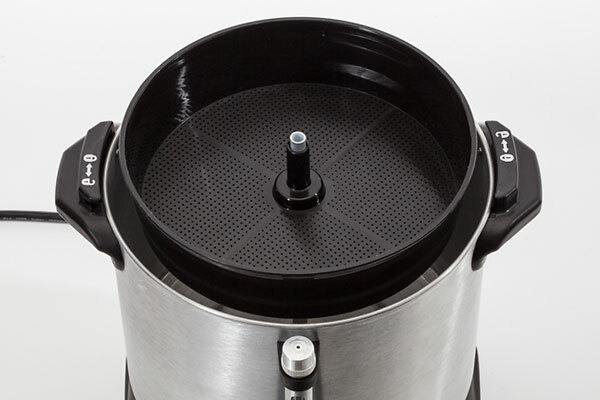 All commercial coffee urns are commercially rated and NSF listed. 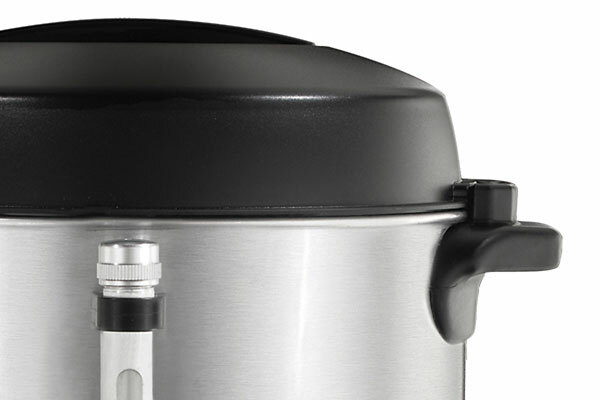 Automatic shutoff when water in the tank has completely boiled away. 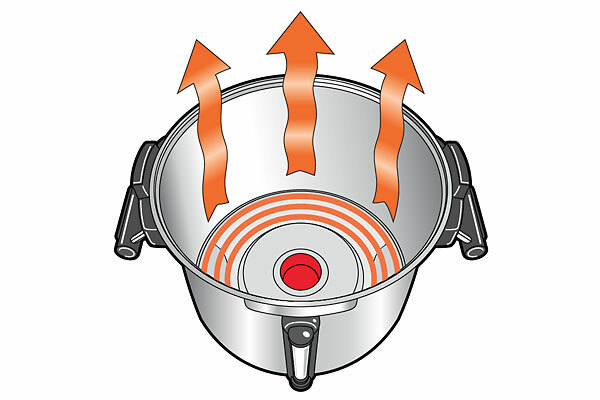 Red indicator light when urn is plugged in. 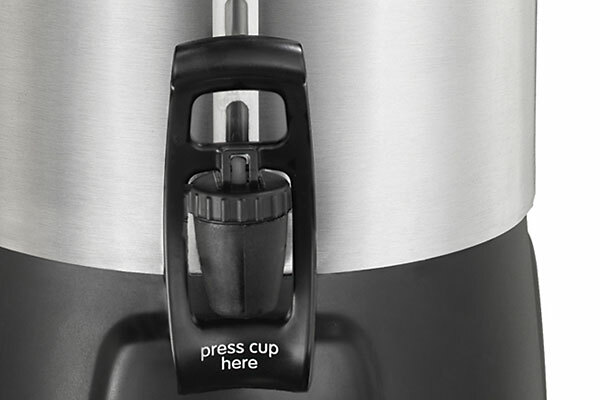 Fills cups fast to shorten the wait.